View More In Wireless Audio Receivers & Adapters. - 1 way video signal input, 4 ways video signal output. - The resolution is up to 1920x1440 @60Hz, 150MHz. - Supports XGA, SVGA, VGA and Multisync displays. - It can be transported over long distances up to 25 meters. - Support for operating systems: Windows 7, Windows 2000, Windows XP, Mac OS, Sun, Linux. 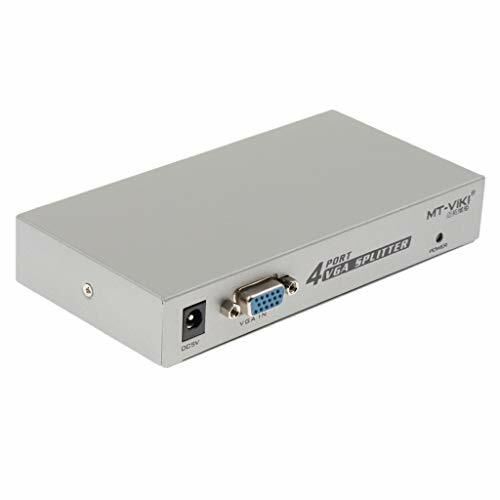 1 way video signal input, 4 ways video signal output. The resolution is up to 1920x1440 @60Hz, 150MHz. Supports XGA, SVGA, VGA and Multisync displays. It can be transported over long distances up to 25 meters. Support for operating systems: Windows 7, Windows 2000, Windows XP, Mac OS, Sun, Linux.